HEY YOU! DO YOU THINK YOUR DRAGONS ARE AWESOME (BC THEY ARE)? DO YOU WANNA KNOW WHAT SOMEONE ELSE THINKS ABOUT EM? W O U L D Y O U L I K E T O? GOOD BC YOUVE COME TO THE RIGHT PLACE! Welcome to Rowan's Radical Reviews (patent pending) where I'll give an in-depth review of some dergs in your lair... for a bit of coin! Listen my lair needs expanding and we only get 250 treasure every day. So let's go on to... [b][i]PRICES[/i][/b] 1 Dragon- 5000t 10 Dragons- 45,000t [im not accepting gems for this kinda deal, but if you have gems to spare, consider browsing my art shop! [url]http://www1.flightrising.com/forums/art/2600984[/url]) Thats all i have prices for, so lets jump right into [b]examples! [/b] I'll be using dragons from my friends lairs. [url=http://flightrising.com/main.php?dragon=26996523] [img]http://flightrising.com/rendern/350/269966/26996523_350.png[/img] [/url] Fig is a good bean! The greens of all her apparel go super well with her yellow primary and pink underbelly, she just looks like someone I could pal around with and play chess. Being covered in so much greenery and apparel like that makes me think she's a gardener, which i feel suits snappers well with their low build and stumpy feet. 10/10, greatest bean around. [url=http://flightrising.com/main.php?dragon=26206156] [img]http://flightrising.com/rendern/350/262062/26206156_350.png[/img] [/url] Tyndallion here is......... intimidatingly beautiful. I want to ask her to prom but im scared she'll snap me in half. Her skin gives her character a depth of beauty that she likely uses against opponents during battle. She may have all basic genes, but the skin and apparel really lets her shine through. 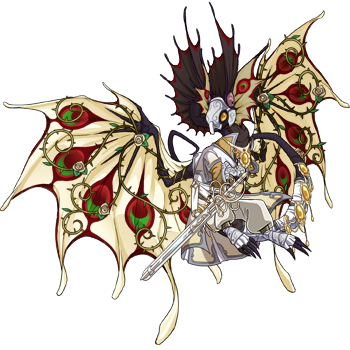 9/10, she could kill me and im not sure im ready for that responsibility [url=http://flightrising.com/main.php?dragon=39234821] [img]http://flightrising.com/rendern/350/392349/39234821_350.png[/img] [/url] Calico Jack looks just completely intimidating. He may be beautiful under all that Jolly Jester stuff but im pretty sure i dont wanna find out because he can definitely murder me. The apparel goes super well with his coat colors, and the metallic makes me think thats just another part of his armor. 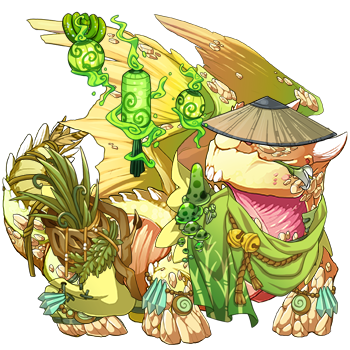 This dragon fits so much Halloween aesthetic that all he"s missing is a fiery orange mane. 10/10, would spook again Yep thats how it happens!! So if u want smth like that for YOUR lair, just fill out this form! How many dragons: Clan Lore review? : Where to send review (bc i cant do it here): Can i post in my tumblr when im done? : I look forward to reviewing those dergs! HEY YOU! DO YOU THINK YOUR DRAGONS ARE AWESOME (BC THEY ARE)? DO YOU WANNA KNOW WHAT SOMEONE ELSE THINKS ABOUT EM? W O U L D Y O U L I K E T O? GOOD BC YOUVE COME TO THE RIGHT PLACE! Thats all i have prices for, so lets jump right into examples! I'll be using dragons from my friends lairs. Fig is a good bean! The greens of all her apparel go super well with her yellow primary and pink underbelly, she just looks like someone I could pal around with and play chess. Being covered in so much greenery and apparel like that makes me think she's a gardener, which i feel suits snappers well with their low build and stumpy feet. 10/10, greatest bean around. Yep thats how it happens!! So if u want smth like that for YOUR lair, just fill out this form! I look forward to reviewing those dergs! @Klazomaniac Hello, I'd like to take an review! Where to send review (bc i cant do it here): If it'll be okay for you, PM! Can i post in my tumblr when im done? : Yes! Can i post in my tumblr when im done? : sure go ahead! @Leafstar17 @SolarKitten send payment via pm and I'll get started! Leafstar, you owe 15,000t, and Solar, you owe 25,000t! Can i post in my tumblr when im done? : Yeah sure.